Welcome to the Insecure Writer’s Support Group website! 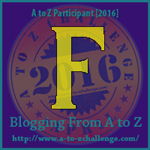 Our A to Z Challenge theme – Resources! Where writers write, meet, create, share, and connect. Complete with groups and forums. Kids and teens can write stories for contests, fanfiction, and more, then create a mock cover and post it on the site. Encourage young people to join today! I'll have to show this one to my kids. Thanks! I would've loved this as a teen! The kids of today have so much support...it's just a click away! I'm a little jealous. I wish they had had something like this when I was a kid. Thanks, Alex. This is a really lovely thing that you are doing. Keep up the great work! They seem to offer great opportunities for young writers. How fun... what a great way for kids to really express themselves in a totally creative way! This would be good for my granddaughter who says she likes to write. I'm late. Sorry. Heading over now.